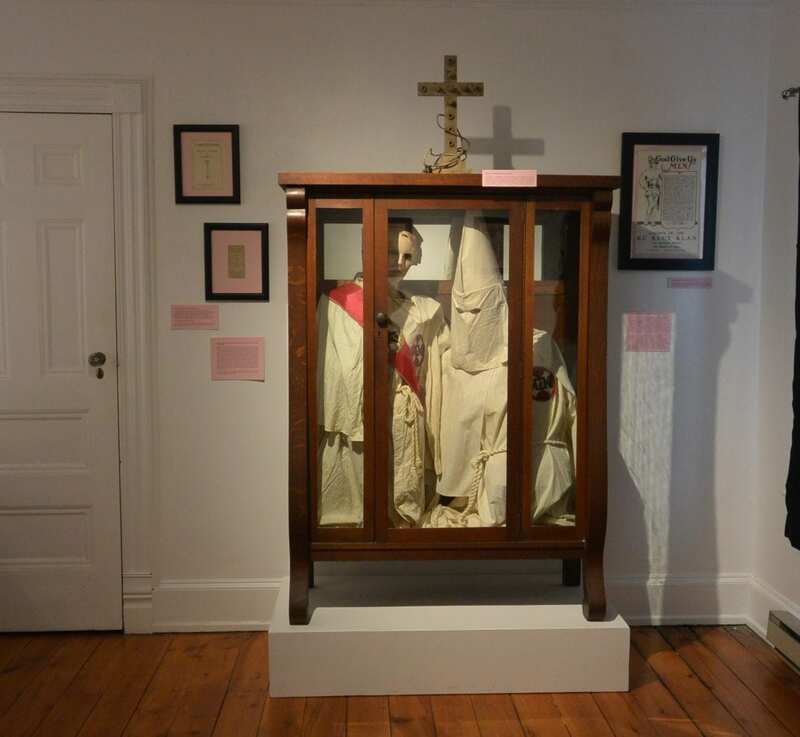 A photo from the 2016 Bundy Museum exhibit "Dirty Laundry: An Unbleached Look At Binghamton's Complex History With The Ku Klux Klan." The Binghamton area is often associated with the letters “IBM” but what about “KKK”? In the 1920s, Binghamton was the New York State headquarters for the Ku Klux Klan. While a student at Binghamton University, Jay Rubin began researching the topic. He wrote the book The Forgotten Kapital: The KKK in Binghamton 1923-1928. He spoke with WSKG’s Sarah Gager. Jay Rubin: The Klan of the 1920s sought to be a national organization. It was a fraternal organization. And its focus was anti-immigrant, anti-Catholic, anti-Jewish. It was clearly white supremacist, but it was not crazy about many whites as well. The concern for the organization was that white, native American Protestants were losing their status and their hegemony in America because of the massive immigration of Catholics and Jews from Southern and Eastern Europe. JR: In New York City, because it’s such a large immigrant population, such a large Catholic and Jewish population, [they] got a lot of pushback. So what happened is, they felt there were opportunities to recruit in upstate New York. And they looked for a place to basically base out of. Binghamton came to their attention, [in part] because Binghamton at the time was one of the cities that [had one of the] smallest percentages of foreign-born residents (about 15 percent, according to the 1920 census), and also was a place where many of the conservative values of the 1920s predominated. JR: The Klan had purchased a headquarters on the intersection of Wall and Henry St., and the national organization wanted ownership of that headquarters but the local Klan leadership didn’t want to give it up. And so they were basically ostracized from the national organization and tried to go on their own, were unsuccessful, and the national organization pulled their charter.